Back in 2011, when Jenny Frankel, former M.A.C product developer and co-founder of Cover FX, decided to take a break from work to spend more time with her daughters, Ally and Taylor, now 15 and 18, building another company from the ground up wasn’t a consideration. But as the Toronto-based chemical engineer observed her millennial kids, she was surprised to realize their beauty behaviour defied her expectations as an industry veteran: they had zero interest in brash shades or tricky application techniques. 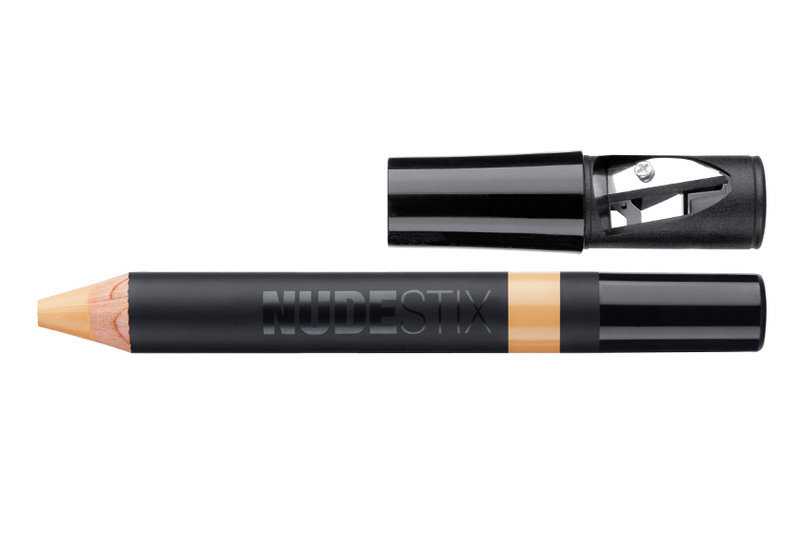 That revelation led to the invention of Nudestix, a cosmetics brand that’s all about natural and neutral hues in swipe-and-go stick formats (crayons, pens and pencils). Launched in the U.S. in spring 2014 at Space NK, it quickly garnered coverage from beauty bloggers and mainstream media such as TeenVogue.com and Allure.com. And this past fall, the line rolled out at home, landing at select Sephora and Urban Outfitters stores across Canada. We spoke to Frankel about her beauty roots, her industry-famous lipgloss invention and her new business’s seemingly overnight success. How did you begin your career in beauty? I’m a chemical engineer. When I graduated from the University of Toronto, I went right into the beauty industry [working in product development for a cosmetics manufacturer/distributor]. They happened to share a parking lot with M.A.C Cosmetics. So one day I was leaving the office—I was 21 years old—and I saw this distinguished gentleman walking to his car. We started chatting, and he asked what I did and he said, “We could use someone like you. You should come for an interview.” I did the next day, and that’s how I got into M.A.C. Is it true that you were the brains behind M.A.C’s Lipglass? Yes, I found the ingredient that looks like shiny, clear vinyl and was involved in the original formulation. It basically revolutionized the lipgloss category. How did your decades of experience help make your new venture successful? I know manufacturers, suppliers and retailers, and have access to capital. For emerging brands, you can’t just launch a product—you need to have a full story, a rational reason, an emotional connection. Why is it so different from everything else? So my experience allowed me to understand everything I had to think about. How did you get Nudestix off the ground? In November 2013, I met with Nicky Kinnaird [founder of Space NK]. I had a few pencil prototypes—little wooden pieces of nothing—and a verbal vision of what Nudestix would be like. I’d never done business with her before, but I loved that her shops were really prestigious, niche boutiques in top markets. Within six minutes, she loved the concept. Space NK was small enough to be patient while I built my infrastructure, yet large enough to provide the cash flow and orders I needed to run a business. And they had in-house marketing. In exchange for an exclusive three-month launch, they partnered with me to be my press arm [acting much like a PR agency] in North America and the U.K. They created so much buzz. What was the biggest challenge you faced in launching Nudestix? I look at every challenge as an opportunity. I’d say the biggest one has been pacing growth. In May, I signed a five-year lease for an 800-square-foot space in Toronto—now, we’re moving to a 2,800-square-foot space in the city next month. If I sent you a picture, you’d laugh! There are boxes everywhere. Never in a million years did I think we’d outgrow our first space in six months.